Though Jean Schaetzel is still involved in the business, it has been all-change at Domaine Martin Schaetzel in Alsace in the past year: that’s when former industrialist and 77-year-old man about town, Marc Rinaldi, acquired the domaine. 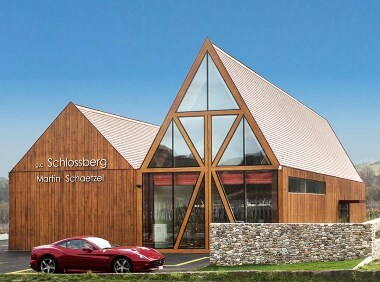 Rinaldi made his fortune in aluminium and distributing Ferrari cars, before becoming a serious wine investor in the Alsace region, including owning this domaine and the 2* restaurant Jean-Yves Schillinger in Colmar. But the new regime has brought fundamental change, including brand new state of the art cellars and a programme to convert all of the estate’s Grand Cru Vineyards to biodynamic certification. Key to that, was the appointment of a new Managing Director for the domaine: Christophe Ehrhart, formerly of Domaine Josmeyer and renowned as one of the world’s leading experts in the field of biodynamic viticulture and winemaking. 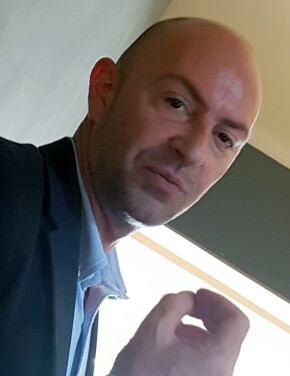 Christophe came to biodynamics partly through the scourge of ‘mad cow disease’, believing that intervention in the natural habits and life-cycle of cattle, “to create meat from grass,” led to the problem. Having taken over at Martin Schaetzel only last year, some vineyards are still in conversion, so the wines will not all be biodynamically certified until the 2018 appears, though he insists all farming was very natural and “basically organic,” even before he arrived. Impressive new cellars were built in 2015, but winemaking uses no laboratory yeasts, no enzymes, no chaptilisation and no acidification. They vinify parcel by parcel, mostly in stainless steel, but with some big, old oak vats. The wines are very impressive in a cool, precise way, but showing very forward and approachable fruitiness. Yields are low at only 30 – to 45-hl/ha, even for the ‘entry level’ wines. (2017) Very nice spices and cool apple and pear fruit at first, then a little more peachiness comes through. Lovely mouth-filling and sweet fruit, but dry and quite steely on the finish. Lovely dry extract grip. (2017) Powerful smoky minerality and a touch of nettle, and there is a pungent, almost passion fruit note. A very expressive Riesling, the vintage showing through beautifully. On the palate there is a searing dry core of acidity and that dry apple core seriousness. Lovely juicy orange tang of acidity. Should cellar well. (2017) So ripe and generous, rich and almost strawberry-scented, that nice tropical character but then the delicate smokiness and the very firm edge of acidity, meaning the 9g/l of sugar just disappears into the finish. (2017) Very fine nose, fine Gewurztraminer character, spicy and smoky, lots of residual sugar to give a delicate but exotic fruitiness that has intensity and yet filigree lacy acid framework. 17g/l makes it off-dry and a great match for Thai food or very ripe tomatoes with good olive oil, or simple pizza. (2017) With only 5g/l of residual sugar this is essentially dry, with delightfully delicate Muscat aromatics, fresh grapy and perfumed, and a certain mango and grapefruit skin richness on the palate. Long finish, very well balanced by the acidity and a certain mineral element. (2017) From limestone soils, in conversion to biodynamic certification, this has 3.5g/l sugar. Deeper colour than the Schlossberg also tasted, beautiful aromatics, demonstrative, with a richness and ripeness, again plenty of bold, bright orange fruit. Not at all flabby, but a certain broadness compared to the Schlossberg’s tension and drive. (2017) First vintage of this wine made in the new cellars, and from vineyards in conversion to biodynamic certification. Schlossberg is the biggest Grand Cru of Alsace, and this comes from the Kirrenbourg parcel within it. So taut and steely with that firm, concentrated power of both fruit and acidity, fabulous drive and purpose. Thrilling Riesling. Like the car!! Did I miss it but where are they based? Paul, the domaine is in Ammerschwihr – I should add that to the article, so thanks. 15 C ROUTE DU VIN, 68240 KIENTZHEIM close by Ammerschwihr.